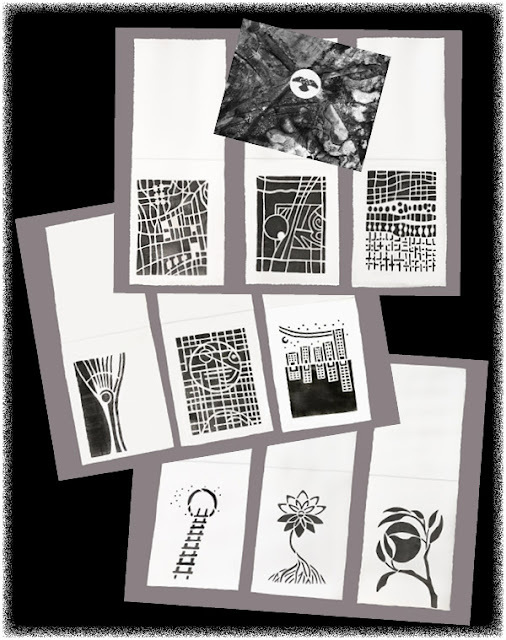 StencilGirl Talk: An ATC by Carol Wiebe and by Kristie Taylor,stencils based on tapestry! An ATC by Carol Wiebe and by Kristie Taylor,stencils based on tapestry! 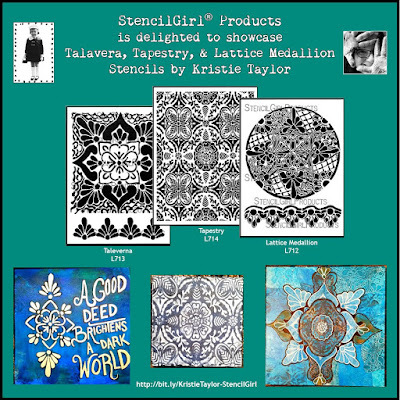 StencilGirl is thrilled to release 4 stencils from 2 designers today! Carol Wiebe and Kristie Taylor have divergent styles but that gives you freedom of choice! This is my new ATC Mixup Stencil—L710. I have never made any ATCs, until I tested this stencil. Phew, I feel much better now that I have that confession over and done with. Otherwise, I would feel like this stencil was such a sham. Creating an ATC stencil was more challenging than I expected it to be. I realized why I like flowing intuitive designs as I struggled with the rather simple maths of putting nine 3x4 designs onto one 9x12 mylar sheet—evenly. Smaller stencils actually come in handy in any number of places. Necklaces, purses, even specific garments areas, have smaller real estate for design embellishment, and a smaller stencil is more appropriate in scale than a large one. 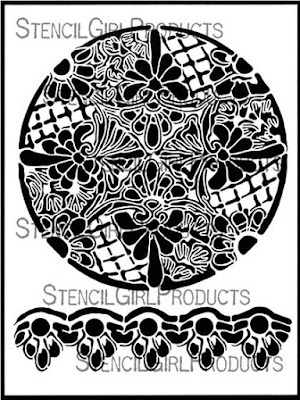 I recently used this stencil on a tunic I am creating. The project I decided on for this reveal is greeting cards. That is funny, I know. I am glad you see the humor in it. Rather than sending an ATC, which is a kind of postcard, I changed my cards to greeting card format. 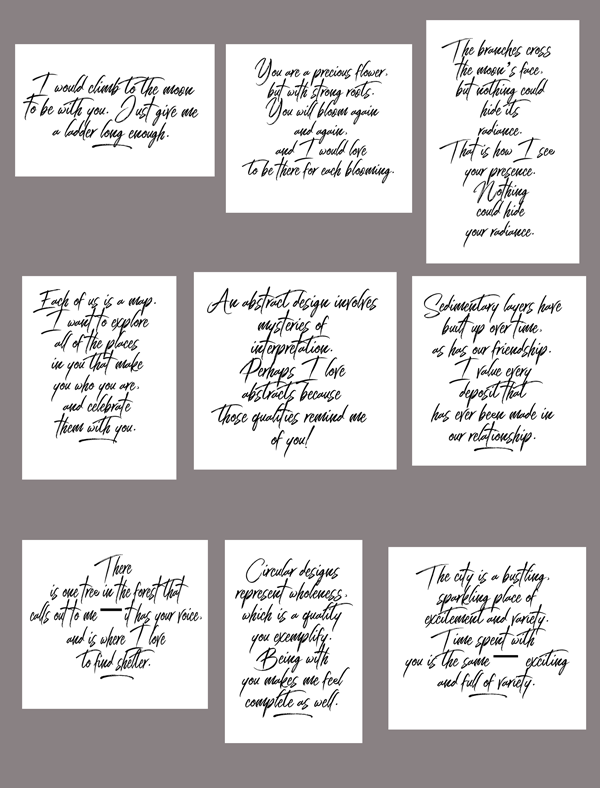 I created cards a little bigger than the 3”x4” stencils (3.5”x4.5”). I used a ruler to “rip” the edges of the cards, giving them a “torn edge” look which I like. I painted the cards with white gesso, let them dry, then stenciled one of the designs of the ATC stencil onto each card, using black acrylic paint. I love a clean black and white look, so I mostly stuck with that for these cards. I did employ a silver sparkle onto a few of them, using the silver from Caran d'Ache Classic Neocolor II Water Soluble Pastels. Silver actually reads grey, though, so I wasn’t really changing my black and white palette much except to add a bit of gradation. Making envelopes for my cards was fun. I traced around an existing envelope of the right size, to make a pattern. I scanned the envelope pattern and printed out the nine envelopes I needed. 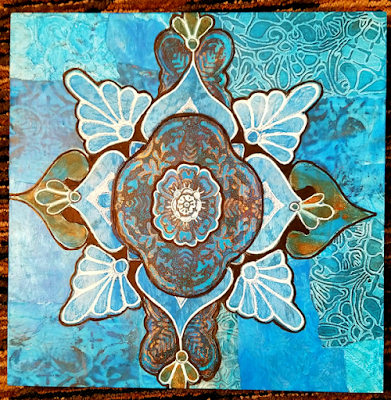 I gessoed the envelope cut-outs, then used a Gelli Arts Printing Plate to add patterns to them. In keeping with my black and white palette, I used black acrylic paint for this. I glued the bottom of the envelope onto the sides, so it overlapped them, with a thin line of glue. My favorite glue for such things is Aileen’s Tacky Glue. The envelopes are quite lovely, and very strong, even though constructed out of computer paper. Of course, I made more than 9 (but less than 900). 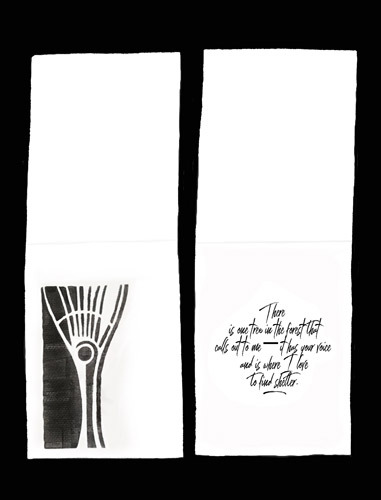 I decided to create a haiku for each design. I have been writing haikus for some years now, and regularly add haiku comments to posts I like. I used the Word Swag app to find a suitable font, printed out the haikus, and traced them onto the cards. 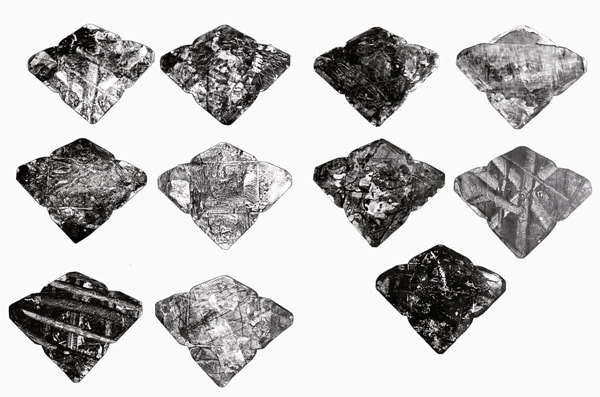 You can use a carbon paper to accomplish this. Then go over the words again with your favorite black pen. You could also simply cut out the haiku and glue it to the inside of the card. I have included nine haikus in the pdf for this project. Feel free to use them if the sentiments expressed match your own. Once I had the cards in their envelopes, they needed to be closed. 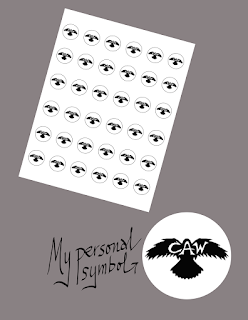 I could just glue them closed, but I decided to make some little stickers with my CAWeStruck symbol on them. 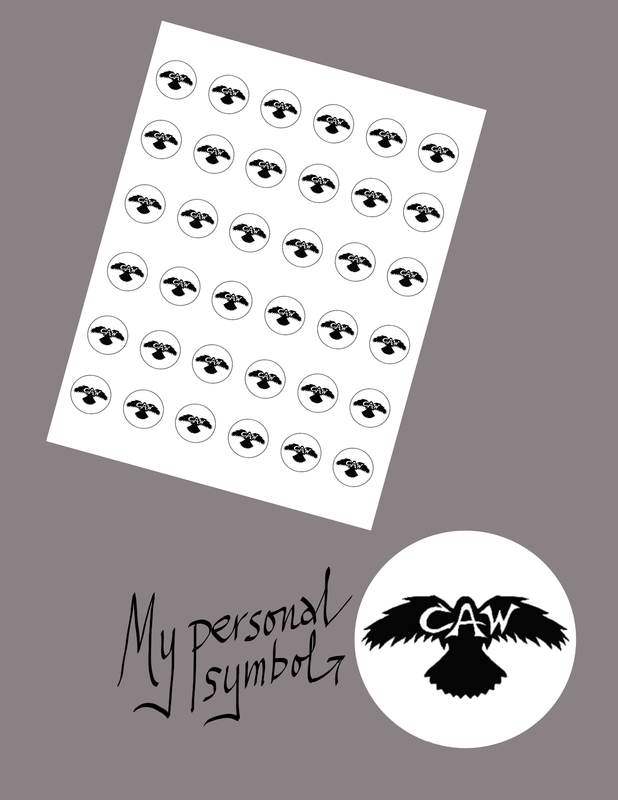 I put my symbol into a page full of circle stickers and printed out the sheet. If you wish, you can add medium to the top of the sticker. Test if this smears your design. If so, use a fixative first. Alternatively, put a piece of packing tape that is the right size onto the front of the sticker and cut it away. You now have a shiny, plastic protected sticker. I used a sticker to close each envelope. Use a damp sponge if you prefer not to lick it, lol. Although I created cards, there is no reason you couldn’t do the same process and simply send ATCs with the haiku, or your own words, written on the back. Perhaps this is counter to ATC protocol, but we artsy types are seldom big on protocol, right? Have fun with this! Make sure you make your cards lickety spit, okay? 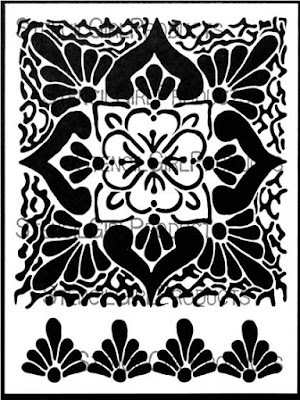 The borders on these first 2 stencils give you lots of options for home decor projects. The Lattice Medallion Stencil is a beautiful combination of woven lattice and feminine flourish. 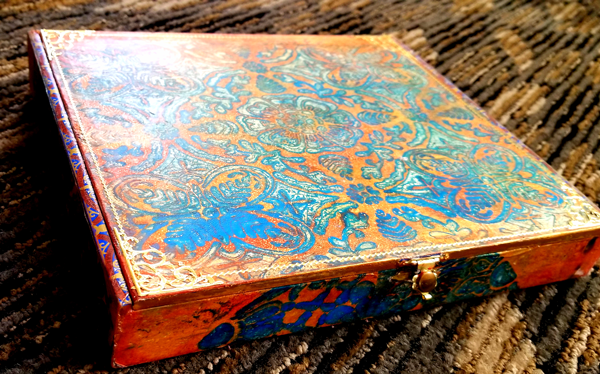 The perfect lacy touch in your artwork or journal. 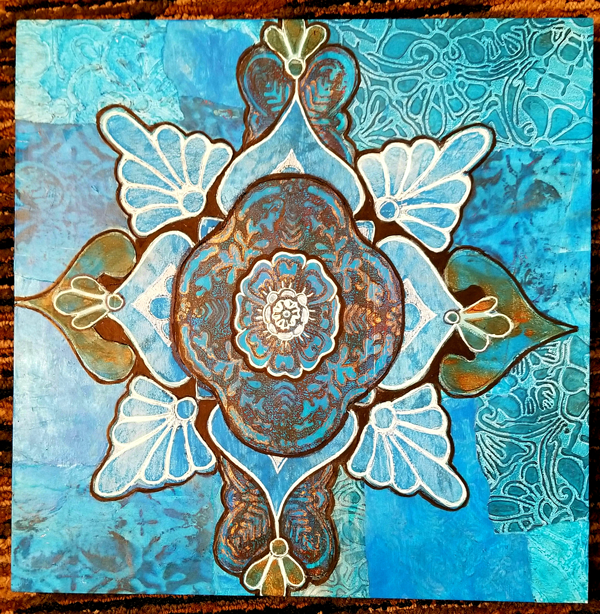 Kristie designed her Talavera Stencil after being inspired by beautiful handmade tiles she saw in Mexico. 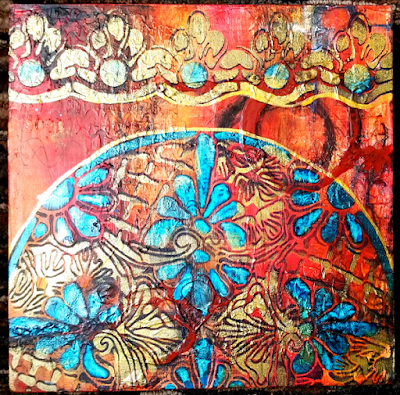 Bright, vivid colors paired with this stencil will give your art a wow-factor. It is lovely with neutral tones too. 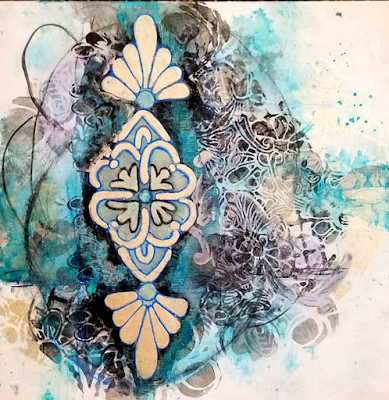 This stencil is a combination of butterflies and floral aspects woven into a tapestry of movement. Tapestry. 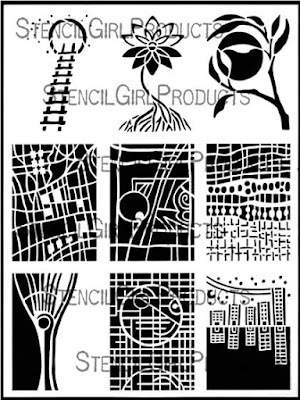 Use all or just portions of these stencils to add detail or texture! You can check out all the latest stencils via this link! 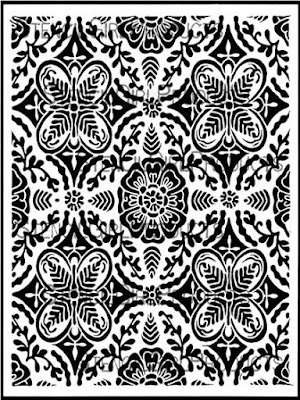 My new stencil, with echoes of the past in a teeny tiny format, is great for smaller places you want patterns: like tight spots in journals, or on the yoke of a tunic (my latest project), or even to make ATCs, lol. Kristie Taylor, those stencils are GOR-GEOUS!